Much of traditional selling is based on the premise that the seller knows more than the buyer. Well, this assumption is increasingly being proven to be false. 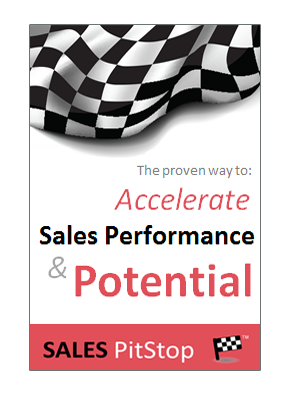 Today’s buyer is more skilled and experienced than ever before and that presents the salesperson with both opportunities and challenges. Managers are more experienced and more skilled at making buying decisions than ever before. This is particularly so in respect of the business decisions that underpin major purchases. These skills are essential if managers’ departments and projects are to succeed in an environment where they must compete for scarce organizations resources and get the buy-in and support required from key stakeholders. – Pooling expertise, in multi-functional buying units. That means expertise from IT, Finance, Operations, Purchasing, etc. is being brought to bear on the purchase decision. – Making purchasing decisions at a higher level. That means they are being made by increasingly experienced and street-wise managers. – More sophisticated tools and techniques are being employed to determine requirements, set budgets, select suppliers and measure vendor performance. – As a general trend organizations are getting better at managing larger and more sophisticated projects and purchases. That includes a greater focus on full lifecycle implementation and greater consideration of the people and process dimensions of project success. – They are hiring category managers that are subject matter experts from industry and teaching them how to procure. They are adopting a category profiling approach to buying that will involve market intelligence, spend analysis, user requirements and vendor profiles. Buyers have accumulated lots of experience and learned many lessons from previous projects and vendor relationships. Some of those lessons have been learned the hard way. The area of IT projects, where some analysts put the rate of project failure, or distress at up to 80%, is a clear example. Each purchase decision and project in turn is being progressively better managed. Buyers know more, often more than the salesperson. They have their own internal experts and expertise, as well as access to external advisors and analysts. In many organizations they have been trained and are being coached, or guided by professional buyers. As are result buyers are more confident about what they want, as well as what they don’t. They no longer go ‘cap in hand’ to vendors looking for the solution, nor with they accept information on face value, or make decisions based on a gut instinct. 1. Vendors need to ditch out of date and simplistic ‘sales techniques that can be seen as manipulative. These do not work on increasingly sophisticated and street wise buyers. 2. Sellers must provide buyers with more useful information to contribute to their decision making using sources that are more credible and can be independently verified. 3. Vendors need to school up in dealing with buyers – both business, technical and financial buyers. That includes sales people who can speak the language of the COO, CFO, etc. in turn. That includes being able to understand concepts, such as; IRR, ARR and payback. 4. Just as cross functional teams are involved on the buying side, so too vendors must adopt a team based approach that facilitates executives to executive selling. After all, the salesperson cannot know it all. 5. 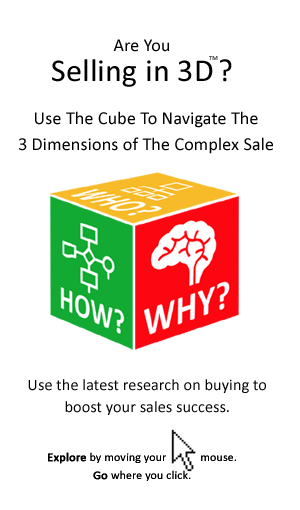 Salespeople must slow down before presenting their solution, taking more time to fully understand the needs of buyers in all their complexity. They must adopt an increasingly consultative approach to the sale. Do you Understand The Complicating Factors? Where Are Buyer Searching For Suppliers?